They float on the wind, decorate your back yard in the spring and summer, and inspire warm emotions with their delicate wings. They seem carefree, at home in any meadow, but butterflies have more specific needs than we might imagine. 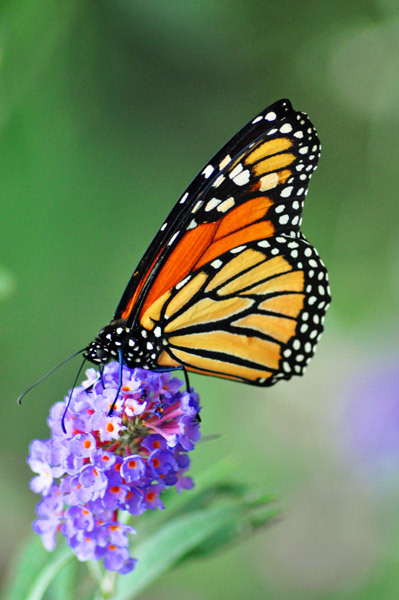 Monarch butterflies don’t live just anywhere; they need habitat, too! As urban sprawl continues to grow, reducing green space and native plant growth, natural butterfly habitats are shrinking. Butterflies require specific plants on which to feed and lay eggs. Caterpillars are finicky eaters. Soni Holladay, Houston Museum of Natural Science Horticulturist and Greenhouse Manager, will lead a class Saturday, April 18, beginning at 9 a.m., to share information with the public about how best to plant a garden that will attract native butterfly species, creating a backyard butterfly nursery. Holladay’s main concern is planting tropical milkweed to attract the famous migratory monarch butterfly. Though tropical milkweed is easier to grow, scientists have discovered it may play a part in declining monarch populations. A parasitic species of protozoan called Ophryocystis elektroscirrha, or simply Oe, grows on the body of their monarch hosts. When infected monarchs land on milkweed to lay eggs, Oe spores slough off and are left behind. Caterpillars, which eat the milkweed, ingest the spores and become infected. When the protozoans become too numerous, they can overwhelm and weaken individual butterflies, causing them to suffer. Several heavily infected monarch can take a toll on the local population. Oe can kill the insects in the larval or pupal stage, as well, before they can reach full adulthood. Tropical milkweed survives the Houston winters, making them a perennial plant and a possible danger to monarch butterfly populations. Native milkweeds die off every year and grow back in the spring Oe-free as part of their cycle, but the evergreen tropical milkweed remains standing year-round, providing a vector for the protozoan to spread. 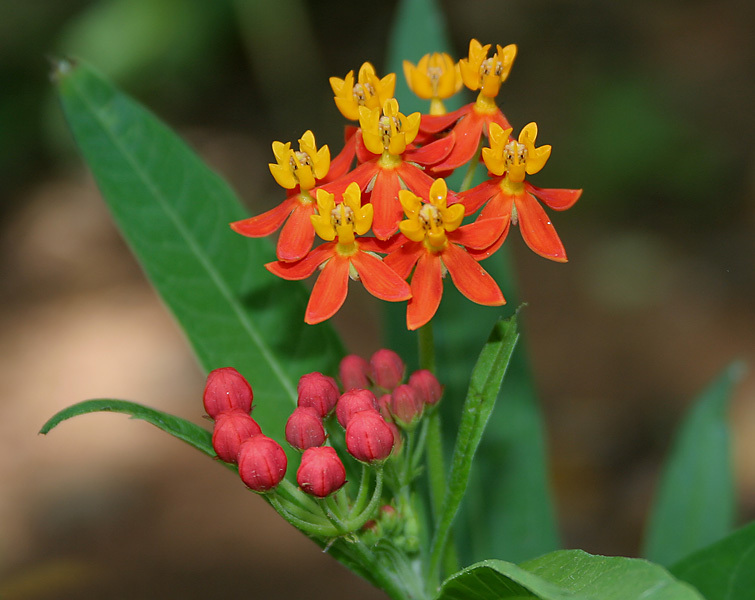 “We’re advising everyone who plants tropical milkweed to cut it back once a year or more,” Holladay said. Much like their native cousins, the tropical variety will return later, a healthy habitat for butterflies. Holladay’s class will offer more details about this and other butterfly-raising issues. After the class, guests will tour HMNS greenhouses and our on-site butterfly-rearing operation. Tickets $23, all ages. Native milkweed plants and other seeds will be available to get you started.